Congressman Barney Frank and acclaimed authors Allegra Goodman, Hank Phillippi Ryan and Stuart Weisberg headline the Ryna Greenbaum JCC Boston Jewish Book Fair Festival Day on Sunday, November 21 at the Leventhal-Sidman JCC in Newton. 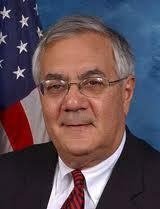 The day begins at 11am with brunch with Congressman Frank and author Weisberg, whose new biography, Barney Frank: The Story of America’s Only Left-Handed, Gay, Jewish Congressman, reconstructs the life and career of the colorful legislator. Television news personality Hank Phillippi Ryan will lead the conversation. Mystery writers Hallie Ephron (Never Tell a Lie) and Phillippi Ryan (Drive Time) speak about their new suspense novels at 1pm. Literary luminaries Allegra Goodman (The Cookbook Collector), Myla Goldberg (The False Friend) and Cathleen Schine (The Three Weissmanns of Westport) discuss their fictional books at 2pm. Goodman and Schine have both won critical acclaim for their modern twists on Jane Austen’s classic novels. Goldberg is the author of the award-winning The Bee Season. Be Your Own Publisher, a workshop on publishing-on-demand, takes place from 3-5:30pm. Self-publishing is an avenue where authors can publish their books cost-effectively. Cost is $15 for the Barney Frank brunch (reservations required); $8 for afternoon events except workshop; $18 for all events except workshop; and $30 for workshop. Purchase tickets at www.jccgb.org/bookfair or contact boxoffice@jccgb.org, 617-965-5226 or 866-811-4111. The JCC is located at 333 Nahanton Street. The event is co-sponsored by CJP, Hadassah and The Book Club Cookbook. Book signings to follow all events.